Hello, everyone! Angel Payne here, swooping in to share some exciting news about an historical paranormal romance that I’m re-releasing on September 30th. I’m very excited to share a bit from Lords of Sin: Redemption with you. I originally wrote this book as Annee Cartier in the late 1990’s, but it’s one of those “books of my soul” that has never left me. To this day, the thought of Marcus Stafford makes me gooey! 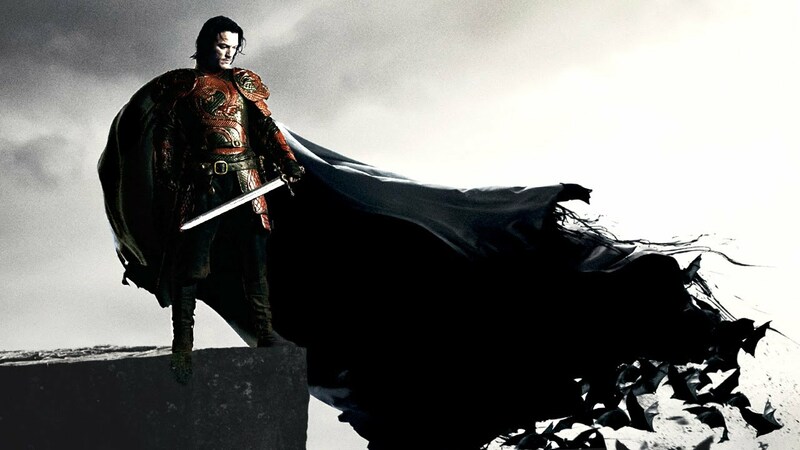 –You’re as excited about the upcoming movie Dracula Untold as I am. Big, sweeping drama and romance are so my thing, and I indulged all of those passions in this book. –You ever saw Andrew Lloyd Webber’s Phantom of the Opera and loved it. Marcus is a tormented hero inspired by Erik,the Phantom who shows Christine The Music of the Night. 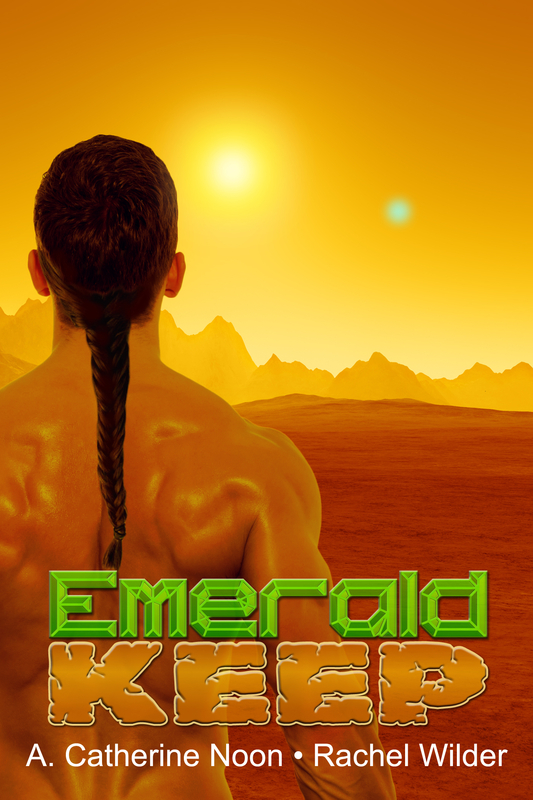 So how about a little blurb…and maybe an excerpt? Yes??? AWESOME! Enjoy! “Good night, Marc,” she said. For a long while after the door slammed behind her, he simply stood there. A thousand times, he commanded himself to outcast her warmth from his blood and his soul. Two thousand times, he ordered an exorcism of the life he had slowly allowed himself to revel in the last two months. Hours passed. The lamp’s oil burned down and died. Darkness, the starless gloom that permeated the world in the last hour before dawn, descended. Gabriela’s warmth still clung to every inch of him. Her life still filled his nostrils, his sights, his mind. Let her go, a voice ordered, seemingly from thin air. His conscious did that when it said things he nay wanted to hear. He stormed down the hall. For the first time in a long time, he felt pricks of the approaching sunrise—and welcomed the hot needles in his skin. He contemplated giving in. Of at last choosing the finality of eternal damnation over the torment of eternal loneliness. But he would not. He was too much a goddamn coward even for that. For all the drinking and swordplay and bedded wenches he’d crammed into his depraved mortal existence, Marcus was, deep in his rotten gut, passionately afraid to die. So he would descend to hell once more. The exhausted weight of his body pulled him toward the locked door at the end of the hall. Curiosity about what lay beyond it had long ago waned among Drury’s ever-changing tenants, their histrionic tales of the theatre’s famed “ghost” replaced by the more stylish excuse of a never-used broom closet. In this sole matter, Marcus appreciated the intervention of style. He just wanted to get out of here. But he had to take the steps past Gabriela’s dressing room first. With a determined curse, he approached the portal fast. He steeled his gaze straight ahead. He would not look. But she had left the lamp turned up, just a little bit. Like distant recollections of autumn sunsets, the view beckoned to him. All the elements of her world lay still but vibrant in the deep umber light. The gleam of her crystal hairbrush on the dressing table. The twinkling beads on her costume, hanging on the dressing screen. The frayed copy of Hamlet she’d been working from earlier. And a dark leather book on the floor, its pages soughing the floor as his boot bumped it. No, Marcus amended as he picked it up. Not a book. “Gabriela.” He now gripped the journal with both hands, drinking in her words as if they were written in water from the spring of life. Knowing he should hurl the damn thing away. Clinging to it harder with each passing moment. But how, his soul roared back, would he exist any other way again? 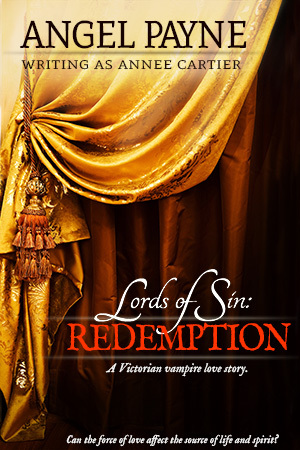 Lords of Sin: Redemption will be available on all e-reader platforms on September 30th. If you want to see any information on my other books or subscribe to my newsletter, please visit my website by clicking here.